This post has been viewed 571 times. Memorial Day is a United States federal holiday observed on the last Monday of May (May 27th in 2018). 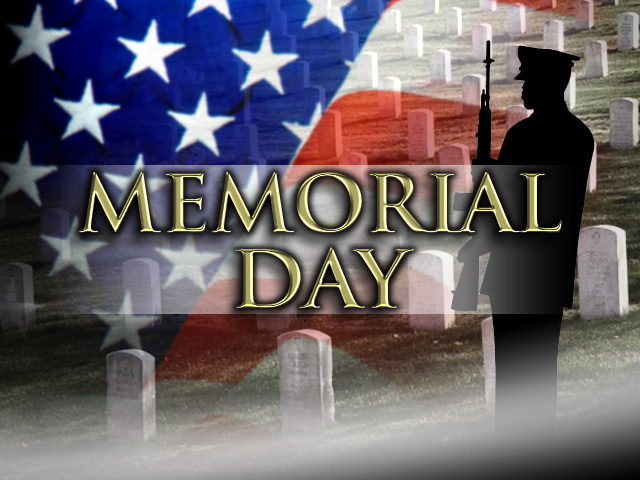 Formerly known as Decoration Day, it commemorates U.S. soldiers who died while in the military service. First enacted to honor Union and Confederate soldiers following the American Civil War, it was extended after World War I to honor Americans who have died in all wars. Let us pray today for those soldiers, both men and women who gave their lives for our freedom. A new Memorial Day tribute video is in the MEDIA section. Don't miss it.